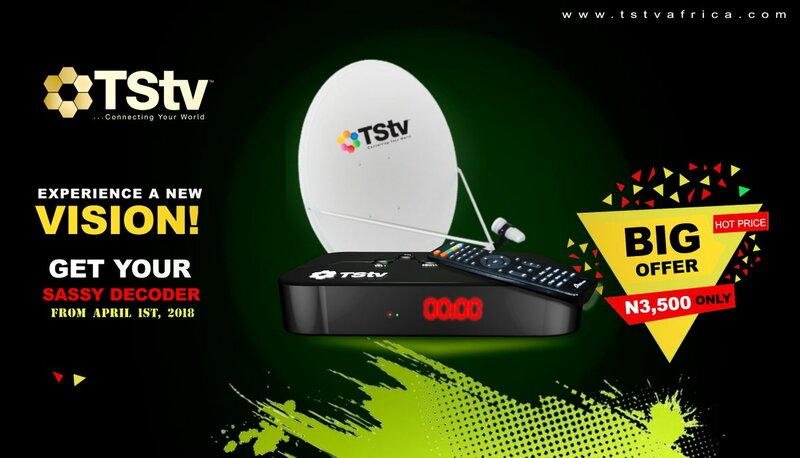 It appears we have a new date for TSTV decoder sales with a new name of the decoder dubbed #Sassy. Nigerians have waited for the sales of TSTV decoder for a very long term after series of disappointed date. Some of us have even given up on TSTV except you are using a free to air decoder that can catch all TSTV channels without paying a dime. This is long overdue. However, TSTV took to their social media few minutes ago to announce the sales of a new decoder called #Sassy and it will be going for just N3500. No word on the promised free 20GB data on purchase of the decoder or free 10GB data when you make 1 month subscription. The initial promised price of the decoder + remote+ the dish was N5000 and now we can sight N3500. When will the TSTV Sassy Decoder Go on Sale? April 1st 2018. No word on location or state but I want to believe it will be global because test period has been completed.